Why Choose Silver Coast Portugal? Welcome to the Silver Coast. Welcome to Real Portugal, an inexpensive, authentic and exciting destination for your holiday! 'Alternative' Portugal offers something less familiar, an up-and-coming choice but also a 'safe' one as it offers all the ingredients for a great holiday. Whether it's the Silver Coast near 'cosmo' Lisbon, the undiscovered Alentejo coastline or the Costa Vicentina natural park in the far south west corner, you will be guaranteed pristine beaches, a vast range of outdoor activities, Moorish castles and eccentric palaces, mouth-watering seafood and cuisine and historic towns. The west coast is the destination of choice for those ‘in the know’ and is a world away from the hustle and bustle of the internationally famous - and more expensive - Algarve coastline. 1. It's a hidden treasure - relatively undiscovered by the British market, the south west coast and silver coast are an authentic alternative to the Algarve, delivering not just great beaches but a superb mix of culture, cuisine, activities and days out. 2. Home to some of Europe's finest, most natural beaches - the 150 km stretch of Silver Coast from Cascais to Nazare alone provides nearly 40 recognised beaches, all offering clean blue waters, wild sand dunes and Atlantic surf (plus a few that provide shelter for younger children!). Often you'll feel as though you're discovering something new. 3. ....it's not just a place to relax, though - the activites on offer here are enough to satisfy even the most demanding sports enthusiast or restless teenager - diving; surfing; kayaking; windsurfing; go-carting; climbing; mountain-biking - need we go on? 4. The cuisine is some of the finest in Europe - food is part of the culture here, and treating yourself to a night out will do a lot less damage to your wallet than in France or Italy. Think fresh seafood, suckling pig and mouth-watering cakes - the custard tarts are to die for! - washed down with Portugal's world-renowned port or madeira. You'll be amazed, also, by the quality of wines available - Portuguese wines are almost unheard of in the UK. 5. It won't break the bank. Not only are the villas and houses good value in themselves, they also provide exceptional levels of service, with regular maid and laundry services offered as standard in many of our properties. 6. ... of the warmth of its welcome. Not for the Portuguese the curmudgeonly service you have to endure in much of Southern Europe - you will be welcomed with a smile everywhere you go, and the staff at the residences will go out of their way to make your stay a happy one. English is widely-spoken too. 7. The area is rich in culture - take an evening stroll around Obidos, a delightful fortified hill-top village of white-washed walls and terracotta roofs, enclosed by 14th century walls, or visit the eccentric palace of Sintra, whose beautiful, elevated position and woodland setting made it a favourite summer retreat for Portuguese royalty. 8. Its climate. Away from the stifling heat of the Algarve, the west coast offers sunny, dry summers - warm enough to top up your tan, but without the worry of the fierce sun of the Algarve, a particular benefit to families with young children. 9. You can lose yourself exploring the elegant, narrow streets of delightful towns and villages such as Obidos and Tomar - a real escape! 10. There are a whole host of diverse cultural and sporting festivals and events taking place throughout the year - have a look at the events page! The Sunday Times' Travel desk knows a thing or two about beaches. Their recent (January 2017) article on Europe's best beaches highlighted Praia da Amoreira on Portugal's South West coast as being a beach that ticks all the boxes! We love the wildness of the Alentejo and, despite its remoteness from the crowds of the Algarve, it is easy to access by car from towns like Sagres. Read on and discover just how many beach options there are in this country which is so influenced by the sea! One of the most distinctive features of Portugal is the influence of the sea and the sheer size of the beaches. The 150 km stretch of Silver Coast from Cascais to Nazare alone provides nearly 40 recognised beaches, all offering clean blue waters, sand dunes and Atlantic surf – plus a few that provide shelter for younger children. The ocean of the west coast is characterised by the high quality of the waters and many beaches have gained European blue flag status. In fact, Santa Cruz (Areais do Seixo) has received a "Golden Beach" environmental award. Guincho – internationally renowned, a wild surfer’s paradise at the southern end of the Sintra-Cascais national park. Consolacao & Supertubos - just south of Peniche, both offer a broad sweep of surf-battered sand and dunes. Ericeira – where Portugal’s surf scene originated and which today remains the predominant surfing resort. Santa Cruz – said to be the cleanest water in Europe. Baleal – a stunning ‘double beach’ split by a causeway. Praia d’El Rey – a huge sweep of Atlantic beach which regularly hosts pro-surf competitions. Obidos lagoon - a gem for genteel SUP. Praia Grande – fantastic for its natural tidal pools filled by seawater at high tide. 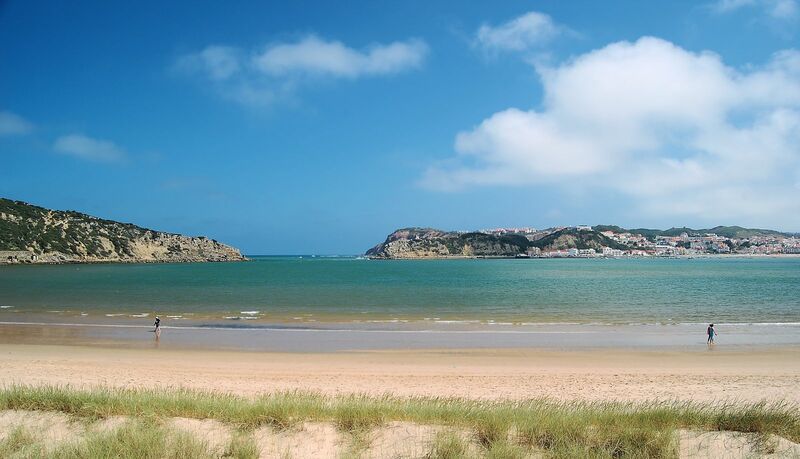 Lagoa de Obidos – a stunning lagoon of sand banks and blue waters, reminiscent of the Camel Estuary in Cornwall. The waters are sheltered and calm and the sand is fine and white – it’s a superb playground for the kids. The grown-ups will appreciate the choice of beachside restaurants and cafes at either side of the lagoon mouth. A family favourite, also excellent for kayaking, sailing & birdwatching. Sao Martinho do Porto – a locals’ favourite with its perfectly sheltered bay, ideal for younger kids to bathe safely. A nice town for supper too! The Silver Coast doesn’t have world-famous resorts; unless you’re a well-travelled surfer or golfer, the chances are you won’t have come across the likes of Ericeira, Cascais or Obidos. But, in our view, resorts that are well-known and loved by locals and nationals, are often the best and are the best alternative to the well-trodden tourist areas such as the Algarve. Due west of Lisbon but situated in the relatively sheltered bay of Estoril. In fact, Cascais almost joins on to Estoril, but in our view Cascais is definitely the pick of the two. It’s an elegant resort (it reminds us of Biarritz) which has been popular with Lisboetas for a century or more. As such it has genuine history and this can be seen in its many resplendent villas and charming seafront. Despite its growth as a holiday resort, there remains a working fishing harbour, complemented by a new marina with shopping centre, restaurants and cafes. There are several new golf courses in the area too. Slightly further afield is the Boca do Inferno where the ocean crashes into open clefts in the rocks creating an alarming cacophony and showering the startled visitor with spray! Continue a little further along the coast and you’ll reach Guincho, a magnificently wild stretch of sand which attracts surfers and windsurfers. 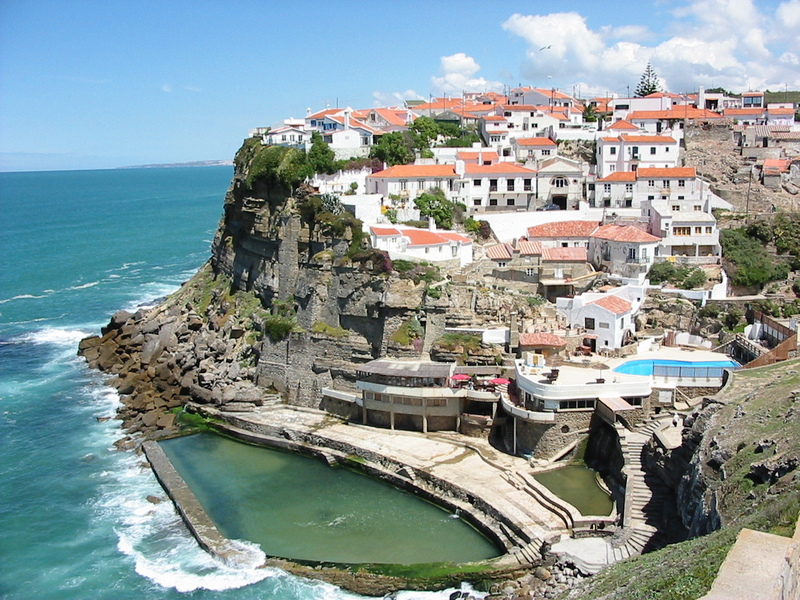 The village itself is a few km inland, situated in the Sintra-Cascais National Park. There are several beaches to be found on this stretch of the coast including Praia das Macas, Azenhas do Mar (particularly enjoyed for its cliff-top setting and brilliant tidal pool), Praia Grande (also features a natural seawater pool), and Praia da Adraga where fishermen line the beach at high tide. Since the late 70s, Ericeira’s fame comes courtesy of its fantastic waves. Today it’s one of spots selected for the World Pro surf tour. As well as being a mecca for surfing hedonists, the town retains a thoroughly charming old quarter with a pleasant tree-lined square and maze of narrow lanes with pretty buildings. With its variety of seafood restaurants, cafes, shops and great beaches, Ericeira is a great day out. Probably one of the best-known Atlantic resorts (if you’re Portuguese that is) and certainly one of the most important fishing towns in Portugal. Nazare has a really impressive sweep of golden sand that stops abruptly at the cliffs of Sitio. The resort feels modern but has retained some of its character with its brightly coloured fishing boats perched on the beach and weather-beaten fishermen and ‘fish wives’ mending nets on the beach. The sea and its bounty are celebrated in local festivals and dishes. And amongst the beach huts you will also the morning’s catch (mostly mackerel) drying in the sun. The surf's pretty awesome here too - Nazare made the news in November 2011 when Garrett McNamara broke the world record for the largest wave ever surfed. Not really a resort itself; it’s a working fishing port (see the local fishermen unloading their catch each morning) and has some brilliant and inexpensive restaurants and tavernas. Peniche has always been dependent on the sea and this is no different today – the townsfolk celebrate the sea with festivals in July and August. Make sure you earn your seafood supper having first walked around the coastal perimeter to see the rocky headlands and fortifications. The beaches are found either side of the headland; to the south, Consolacao and Supertubos are popular with surfers. But the best beach is to the north, and in fact it’s one of the Silver Coast’s finest. Drive north from Peniche on the coast road and you’ll soon be in the dune system of the Bay of Baleal. This is a gorgeous beach, none more so than at the northern tip where the causeway links to the little community of Baleal. There are superb beaches either side, both offering good surf and there’s a smattering of cafes and restaurants. Beach Heaven! > Sao Martinho do Porto. 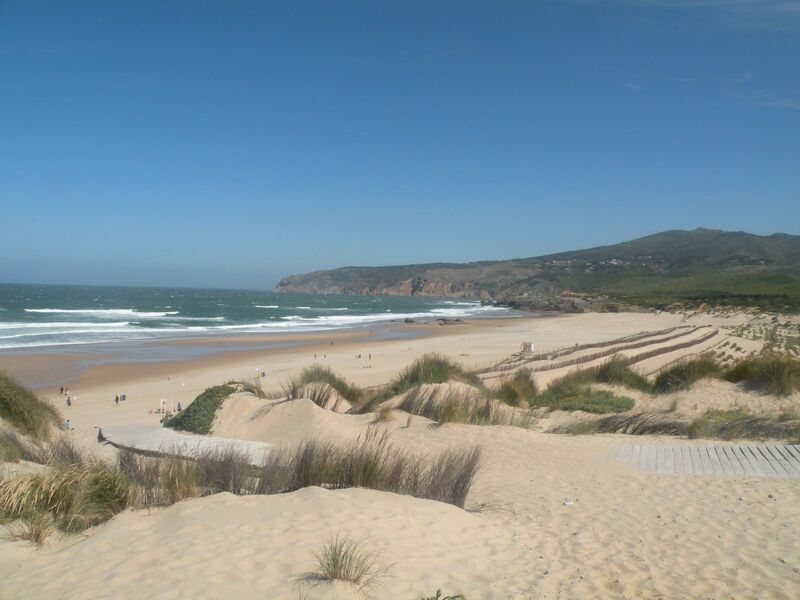 A few km south of Nazare is this perfectly sheltered bay with its fine sandy beach. Since the bay is almost land-locked, the waters here are very calm, making this an ideal beach for younger kids. Behind the beach is a very pleasant promenade, small park and the pleasant town centre has some shops, cafes and restaurants. It’s a good ‘beach day out’. More and more holiday-makers are looking for authentic destinations where their money goes further. Portugal's west coast is excellent value for high quality accommodation and the cost of living there is low - no need to compromise on where you stay, where you eat or what you do. A couple of coffees plus two ice creams at your local beach café comes in at around 5 EUR - you can say 'Yes' to the kids' demands most of the time! Arrival & departure days are unrestricted all year round at many venues, so you can take advantage of the days & times when flights are cheapest. Not having to watch the euros makes for a much more care-free and enjoyable holiday. Go on, make the most of it! Call us on +44(0)1395 865655, send us a mail via the contact form to tell us what you're looking for. Do you need more reasons to visit Portugal this summer? 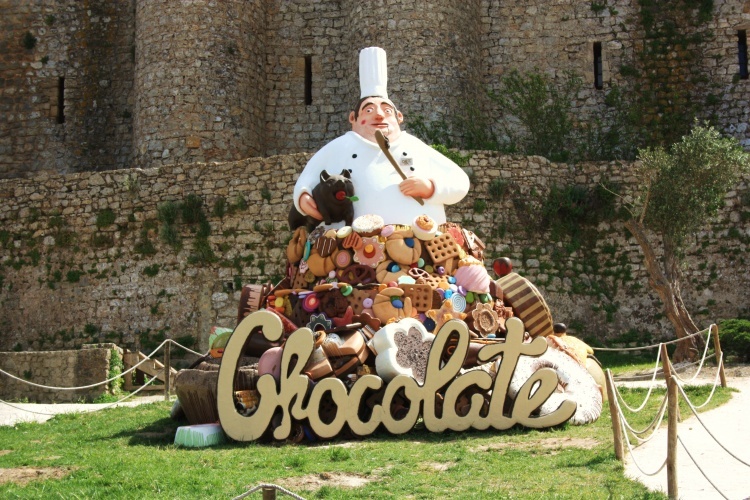 Portugal is hosting a fabulously diverse range of events in 2017, from the deliciously tempting Chocolate Festival in Obidos to festivals celebrating the best of jazz, rock and contemporary pop music. There are flights from airports across the UK & Ireland to Portugal with frequency of services increasing during the summer months. The carriers with most frequent service to the region are Easyjet and Ryanair but there are also other many other airlines serving this area including British Airways, Vueling and eurowings. If you are looking to book flights to Portugal we recommend using Skyscanner for up to date flight information and competitive prices. Top Portugal blogger Julie Dawn-Fox shares her varied insights on the region. We agree with her choice of beach! 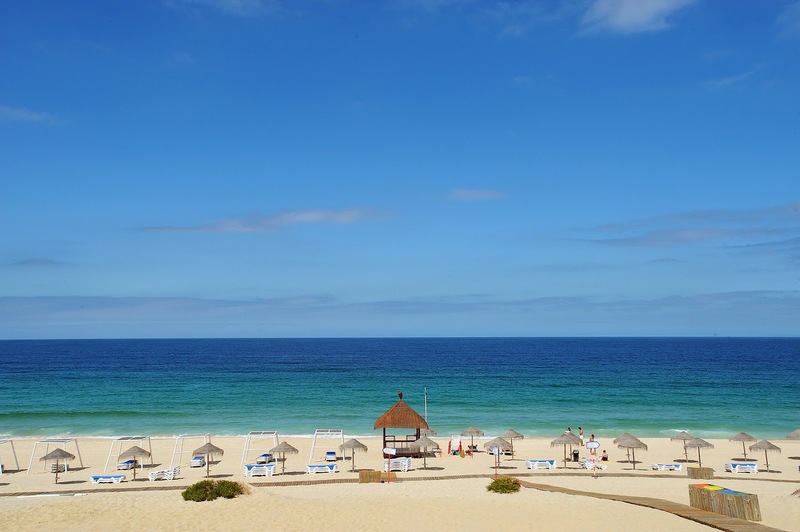 Praia da Amoreira named by The Sunday Times Travel desk as their top beach in Europe! Also some great feedback for Praia da Ribeira D'Ilhas near Ericeira and Praia da Franquia in the Alentejo. Praise for the newest addition to the Martinhal resorts, following on from the popular Sagres. We’ve been visiting Portugal now for many years. We adore the country and its people and have no hesitation in recommending it as a holiday destination. Yet we still come across some popular misconceptions about Portugal…a little bit of French/Italian ‘snobbery’ perhaps? Justin thinks it’s time to set the record straight and renounce these misconceptions… ! A word of advice; do not say “the food’s better in France” (or Italy and especially not Spain) when you are in Portugal. The Portuguese LOVE their food. 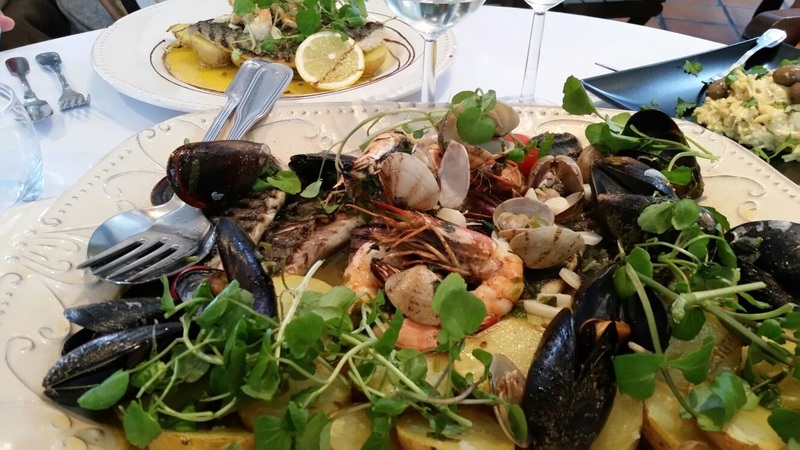 Seafood, steaks, cheeses, delicious pastries and cakes – these are just a few of many specialities. On a recent five day trip to Portugal, I ate my own bodyweight in pastel de nata (custard tarts). Admittedly that’s only 65 kg but even so, the pastries are just too delicious to pass up and are the most perfect complement to my morning coffee. Fresh food markets are plentiful and many a village festa is based on a ‘foody’ theme. And no other nation can do so many wonderful and varied things with the humble cod. Then there’s the wine too! I’m hard-pushed to find a bottle of Portuguese wine in Waitrose but you will be simply amazed by the quality and variety of wines (and fortified wines) on offer in Portugal. Opportunities for vineyard visits and tastings are available too throughout the country, not just the Douro Valley in the north. MYTH 2. There’s no culture. What are you talking about? Perhaps your only experience of Portugal was playing golf at Quinta do Lago with your chums? Historic towns, cobbled streets, ramparts, palaces and castles are all here to be explored. And with Portugal being a staunchly catholic country there are religious sites and monuments everywhere. Ok, ok, I take your point. There is indeed a cool ocean current that comes down the coast. Granted, it’s not the Mediterranean – it’s much more interesting than that! Portugal does stunning beaches very well but if you want to stay in the water for a good surf/body-board session then a wetsuit is advisable especially further north. The water is still a lot warmer than the sea in Cornwall! Come, come, now. I’ve already explained about the wonderful cuisine and opportunities for your cultural advancement. I won’t deny the beaches are fabulous and this indeed is one of the biggest draws of Portugal not least because the weather’s so reliable. 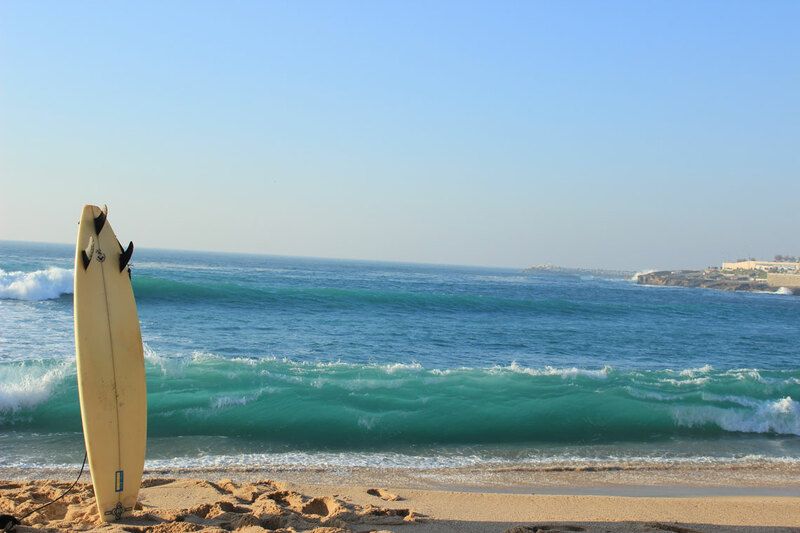 But at every resort I’ve been to in Portugal there’s a really exciting bunch of activities to try…surfing (and all the derivatives), SUP is huge, sea kayaks, dolphin-spotting boat trips, go-karts, mountain biking, coast path hiking, horse-riding on the beach, diving and snorkelling. I could do go on but I’m sure, by now, you’ve accepted my point. MYTH 4. It’s a bit scruffy. Now, that’s just plain rude. Ok, so on my first visit many years ago it was a bit of a shock having holidayed in France for so long. The reality is that Portugal is less developed in its most rural areas. But it’s not ‘scruffy’. I prefer to use adjectives such as charming, authentic, real. It’s just a very unassuming place and all the better for it. Let’s face it, it’s no different to Spain or Greece, or indeed many parts of Italy. You haven’t been listening. Aside from the opportunity to wine and dine exceedingly well (and inexpensively), you can shop in boutiques and rub shoulders with affluent locals in contemporary bars and restaurants. Let’s face it, Lisbon is quite possibly the hippest city in Europe right now. In nearby Cascais, everyone is beautiful and drives a Ferrari. Well, almost. So, you can do a sophisticated break if you want to but, remember, unassuming is the word to describe Portugal and its lovely people. Well, I must admit that if you fly into Faro and don’t venture too far you will be facing a (choose at least one of the following) commercialised / golfing / retirement / ex-pat, er, ‘ordeal’. You only have to drive 1 hour west (or east for that matter) to escape all of this and discover the Alternative Algarve. 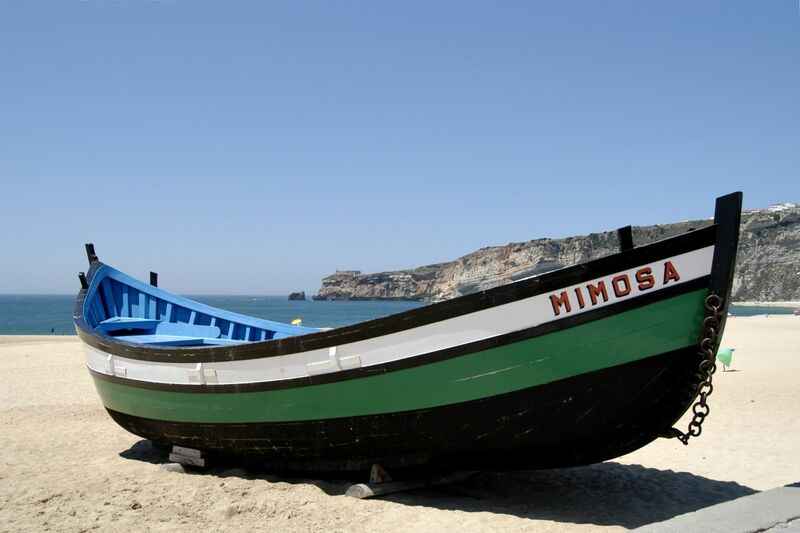 Escape the crowds and head to the south west corner and experience the natural beauty of the Costa Vicentina where you’ll find unspoiled beaches around Sagres, delightful fishing villages such as Salema and ‘all-rounder’ resorts like Lagos with genuine history as well as great beaches. So, there you have it: Portugal offers great weather, wonderful food & wine, extremely hospitable and unassuming people, stunning beaches and great value for your euro. English is widely spoken, the culture is easy-going and laid-back and there’s loads to do. And the sun shines.